Well it’s fast approaching the second most popular day of the year to propose. Come on girls its leap year! This is your chance, why not take matters into your own hands. Officially it’s supposed to be 29th February. But hey who wants to stick to one day. I actually think it would be nicer to catch them completely off guard and propose another day. Are you thinking, Yeah I am gonna do this! But how?! I know this is stating the obvious. But please make sure you are asking the right person and for the right reasons. Think about what your partner would like and make it personal. Here are some simple and fun ways to propose. 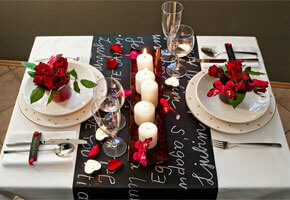 Some of which can be turned into big grand gestures if that’s what you think your partner would like. I have to say Girls if you are proposing to your guy, then remember they don’t tend to like a lot of fuss and attention. 2. Themed dinner of their favourite movie or game and dress up. If a Star Wars fan, then dress up as Princess Leia or maybe Tomb raider is their game, then Lara Croft. You get the idea. 3. 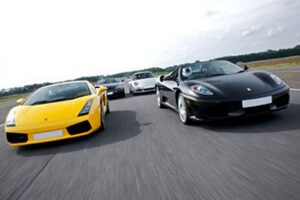 Organise a special day out together, something they have always wanted to do. Like drive a Ferrari, flying lessons and combine this with writing them a love letter proposing. Love letters are still very romantic especially as no one writes letters anymore. Plus this will be a memento you will have to keep. 4. 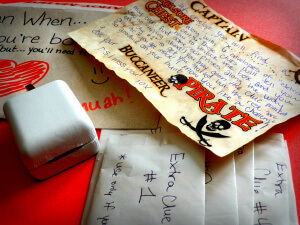 Arrange a treasure hunt beginning where you first met or had your first date, including places that have meaning to you both and propose at the end. 5. Finally, destination proposals, (I absolutely love travelling and had to include this). 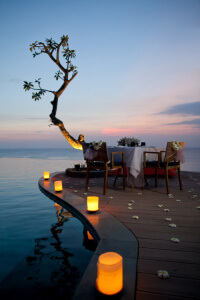 Arrange a romantic getaway or a holiday. 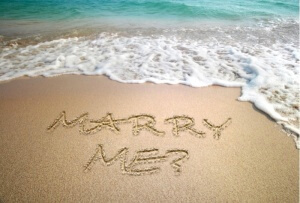 If a beach holiday, you can go the complete simple way and write Marry Me in the sand. 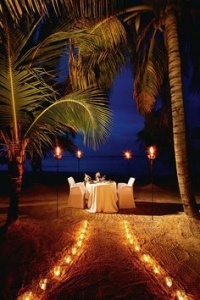 (not right by the water edge) Or you can go arrange for a private candlelit dinner and pop the question. Ask the chef to spell out Marry me on a dessert plate. But if you can’t wait that long maybe pre arrange for the plate to be in place. I hope I have helped and that you now have a better idea of how to pop the all important question. I hope you had as much fun reading this as I had writing it.